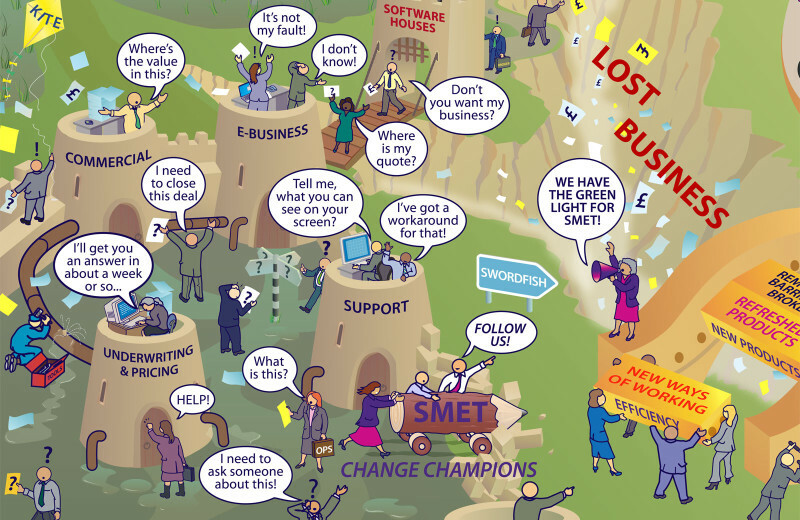 A picture to explain the SME (Small to Medium Enterprise) Transformation for RSA (Royal Sun Alliance) Insurance Group. In many ways this is the classical “journey” picture, with the current ‘siloed’ state bottom left and the improved future state on the right. A combination of improved Information Systems and behavioural change was being implemented to reverse a slide in market share and profitability.